Shape optimization is an industrially highly relevant subject. Recently, it gained much interest due to novel developments in the usage of volumetric formulations of shape derivatives. 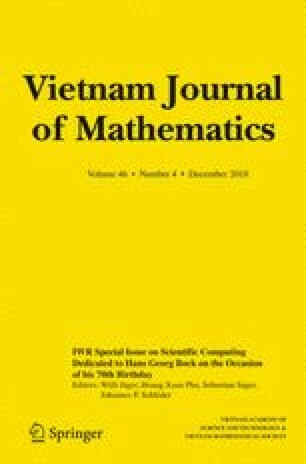 This paper is based on recent results in the field of PDE constrained shape optimization and carries the achieved methodology over to shape optimization problems with constraints in the form of variational inequalities, in particular, in the form of obstacle problems. A novel expression for the volumetric shape derivative in this context is proven and numerical results of a descent strategy based on this expression are reported. This article is dedicated to the 70th birthday of Hans Georg Bock. This work has been supported by the German Research Foundation within the priority program SPP 1962 Non-smooth and Complementarity-based Distributed Parameter Systems: Simulation and Hierarchical Optimization under contract number Schu804/15-1 and the research training group 2126 Algorithmic Optimization.